With this guide to mending and patching, you don't have to say goodbye to your worn favourite clothes. Throwing away damaged, yet beloved, clothes can be one of the saddest things, but what if you were able to fix those holes and extend their life? With Mend & Patch, you can learn to take care of your clothes, mending, patching and repairing so you can cherish all your garments. In the furthest corner of her clothes store in Stockholm, Sweden, Kerstin has a mending studio where she gives a new lease of life to people's favourite jeans. 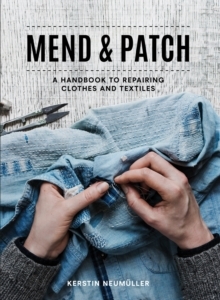 In this book, she arms you with the skills and ideas you need to mend your own clothes, whatever their wear and tear. There are emergency tips for mending in a hurry, including sewing in a button and repairing split seams. You will learn how to enhance your clothes with decorative stitches and how to mend with different materials, including leather, cotton, wool and denim. 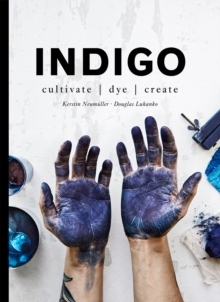 Packed full of simple fixes, as well as more advanced techniques, this book is perfect for sewers, crafters, and fashion lovers of all abilities and for those who want to lead a more sustainable lifestyle.